Diggle, Sara and Oliver with Moira running up behind them. Is there news on Thea? 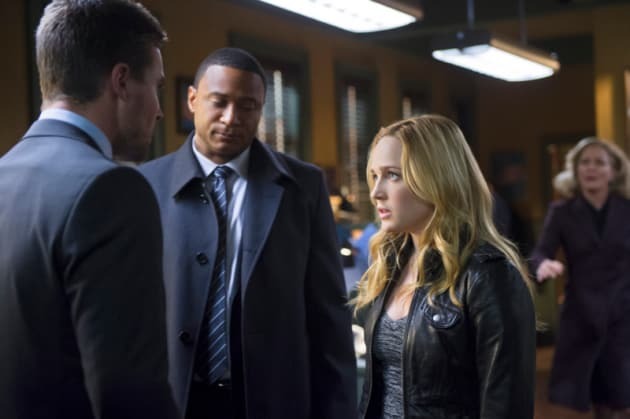 "Deathstroke"
Arrow Season 2 Episode 17: "Birds of Prey"
Oliver: Roy, you're dangerous. I thought I was helping you control it. Roy: You are. I can't look at a bowl of water without slapping it. Permalink: You are. I can't look at a bowl of water without slapping it. That's why you called me Speedy. I thought you were trying to give me a nickname. For the record, don't call me Speedy. 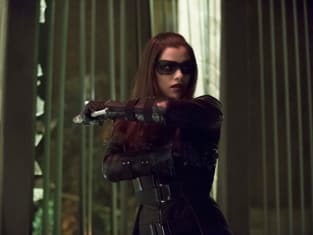 Arrow Round Table: "Birds of Prey"
Arrow Review: So Many Lies, At What Price?